Any time of year you can make a quick donation to the Maury PTA by simply clicking on this Paypal Link. Credit cards are also accepted. Or you may leave a check made out to “Maury Elementary PTA” in the mail room at Maury, in the mailbox marked “PTA.” Additionally, does your employer match charitable donations? Check with your employer’s HR department, or click on this link to a list of corporate-match donors, or try this online searchable database. Your donations are tax-deductible, and Maury’s Tax ID is 541991273. Amazon will donate 0.5% of the price of all eligible Amazon purchases to the Maury Elementary PTA! It’s easy to set up: just click here and it should take you to your existing Amazon account and a message will ask if you want to designate Maury as your charity. Say yes, and that’s it! 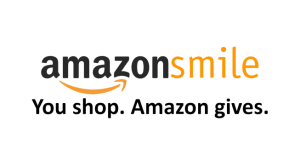 Just be sure to go to smile.amazon.com when you do your future Amazon shopping (you can make a bookmark in your browser), and the donation will happen automatically. You’ll see the same products and get the same prices as on Amazon.com. Spread the word to friends and family — anyone can designate Maury as their AmazonSmile charity! T-shirts, long-sleeved shirts, sweatshirts etc. with the Maury logo were available for purchase this fall, and possibly will be again in the spring. Don’t miss out on the chance for the whole family to show your school spirit! And these items are approved for kids to wear on uniform days! If a spring 2019 order happens, flyers will go home with students. For more info, email Elizabeth Turnbull at etturnbull@me.com. 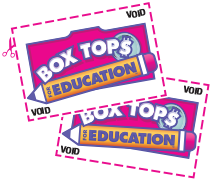 You can find the Box Tops for Education logo on many brand name food, snack and household items. 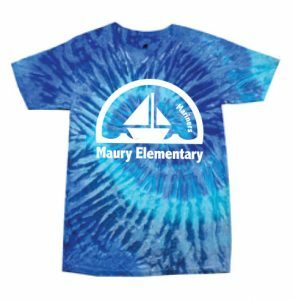 Clipping this portion of the packaging raises money for the Maury PTA — 10 cents for each top, which really adds up when everyone contributes! You can put Box Tops in a baggie and bring it to a PTA meeting, or leave it in the bin marked “Box Tops” right behind the front desk at Maury’s main entrance. Some of the products with Box Tops are shown in the photo below. To see a full listing, click here. You probably already have many of these products at home!